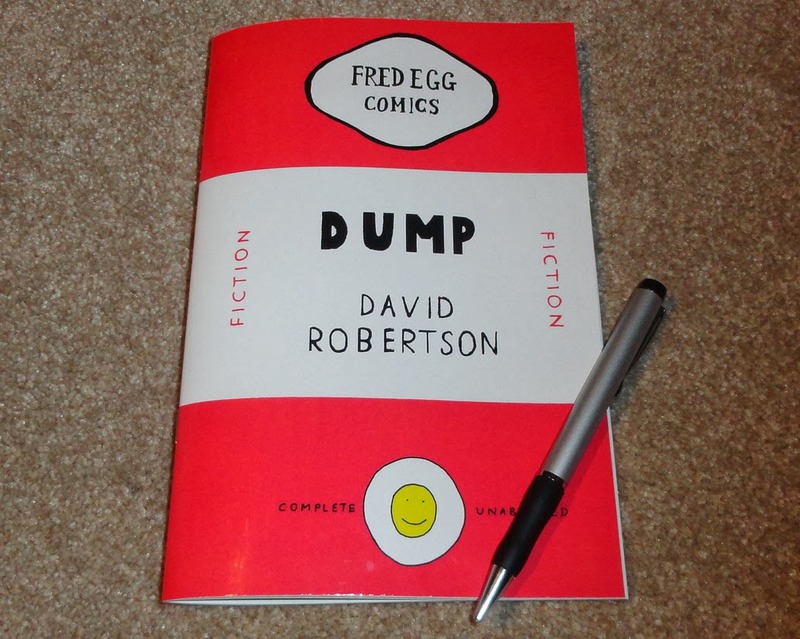 The postie brought me a Christmas Eve present today – the proof copy of my next small press minicomic Dump Number 2. The printer has stopped doing the format that I used for the first issue, so I went with another one instead. A bit smaller, which is nice actually. A few little things to change, then I’ll be ordering the print run proper. Have a nice Christmas tomorrow! 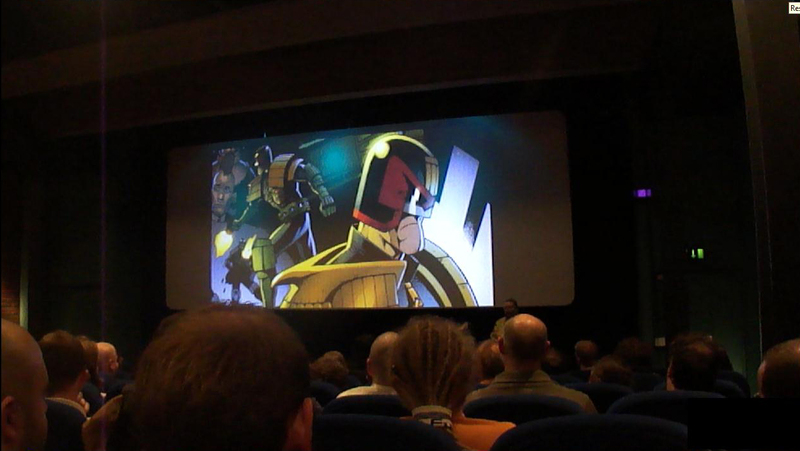 Damon Herd has written an interesting piece called Comics and Performance over at Comics Forum. I took part in Damon's DeeCAP event a couple of times this year, which he makes mention of. Have a look here. "In March 2013 I hosted the inaugural DeeCAP (Dundee Comics/Arts/ Performance) as part of Dundee Comics Expo. Since then two other DeeCAPs have taken place, one in June as part of the International Graphic Novel and International Bande Dessinée Conference in Glasgow and Dundee, and the other as a comics workshop earlier this month, with students at the University of Dundee. 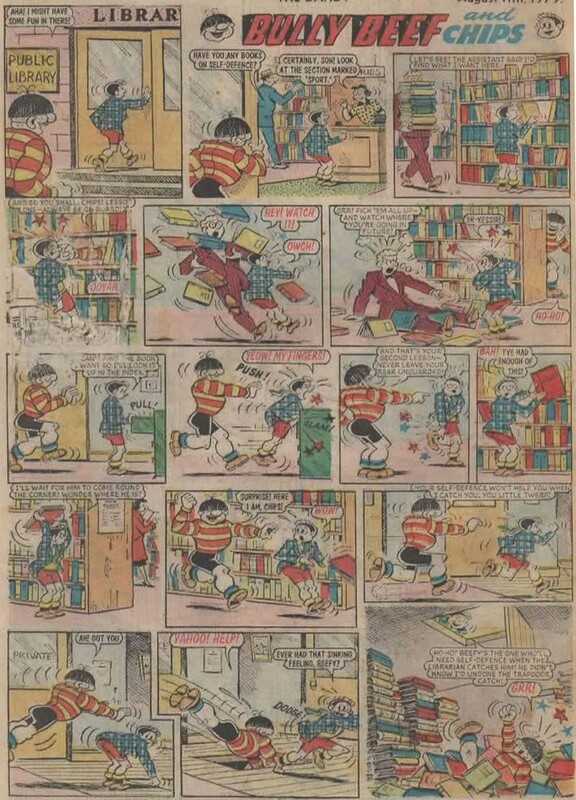 DeeCAP was initially conceived as a way for an audience to experience comics in a very different environment from the usual solitary reading of strips in books or tablets. 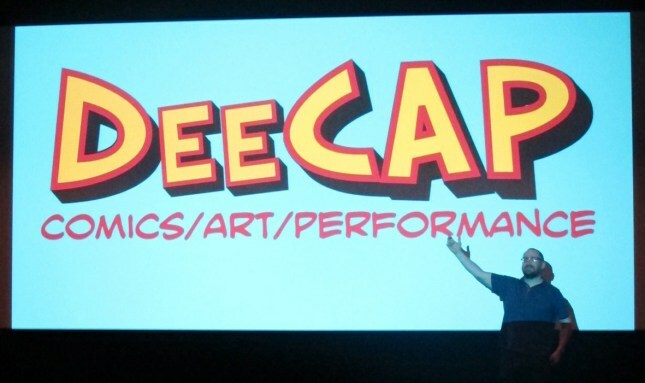 At a DeeCAP show visual imagery, which can include comics, art or illustrations are projected onto a screen behind the presenters as they read out and interact with the pictures. The first event was hosted in a cinema at Dundee Contemporary Arts and the presenters were David Robertson, Andrew Godfrey and Rossi Gifford and myself. We all performed work that had previously been published in print form. 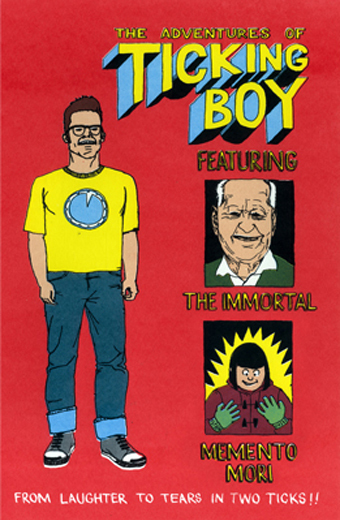 I presented my short strip The Origin of Ticking Boy (2011), complete with a tick-tock soundtrack played through the cinema’s PA system. 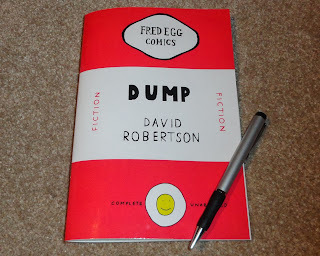 David read three strips from his anthology Dump (2010) with his excellent deadpan delivery. Rossi Gifford enthusiastically performed her story from Duncan of Jordanstone College of Art and Design’s publication Anthology Three (2013). The strip, about a young woman, Tegan, and her robot protector Galeron was an everyday tale of domesticity, romance, science fiction and horror. Rossi ran around the auditorium, circling the audience to energetically re-enact the events in her story. The last performance of the evening was the most theatrical. Andrew Godfrey recreated an excerpt from his comic The CF Diaries (2012), which chronicles his experiences of living with cystic fibrosis. Partly a homage to Bob Flanagan, made famous in the documentary SICK (1997), Andrew’s performance involved costumes, sound effects, music, and an audience singalong making it a fitting finale to the evening. Last month at the IGN & IBDS Conference I hosted another DeeCAP at Dundee University for the conference attendees. There were some returning presenters but my main intention this time was to highlight the performative aspects. I played a live soundtrack on electric guitar to accompany my strip There Will Be Distance. A new participant this time was Naomi Bridges, a student on the Comics Studies MLitt at the University of Dundee. Naomi performed an autobiographical strip about her experiences with music and ended her piece by encouraging the whole audience to hum a low drone while she sang a cappella folk songs over the top. It was a very different way to experience the medium of comics. The third DeeCAP was different; it took the form of a two-hour workshop for visiting students from the USA. With little knowledge beforehand of what they would be asked to do, the students were split into two groups and asked to come up with a short comic based on their experiences of Scotland so far. Impressively, they were up to the task and produced two very interesting autobiographical comics about seemingly mundane incidents. One element that was particularly interesting about the performances was how each group performed the comic as an ensemble, each person acting out and narrating different characters in the story. The group dynamic produced very different presentations than the individual readings at previous DeeCAPs, something to be encouraged at future events. While DeeCAP was a new event in Dundee it is not a new idea. I was inspired by reading about Robert Sikoryaks’s Carousel performance evenings of ‘Cartoon Slide Shows and Other Projected Pictures’ in New York. Sikoryak likens his event to a radio show with sound effects and music, which is combined with visual imagery. 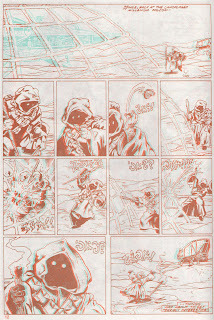 The co-mingling of words and pictures in comics is further mixed with sound and performance. Sikoryak has been hosting these ‘slide show readings by cartoonists and performers’ since 1997 and there are over 100 performers listed on the Carousel website including Gabrielle Bell, Peter Kuper, Dean Haspiel, Miriam Katin, Sam Henderson and Kate Beaton. Henderson has compared the shows to ‘stand-up comedy without the need to memorize material, or even stand up’ and notes how the opportunity to test material in front of an audience can be helpful in working out nuance and pacing (2012). The idea of performing alongside images did not originate with Sikoryak either, although he is the most prolific contemporary promoter of the form. In the first decade of the twentieth century Winsor McCay began working in vaudeville to supplement his income as a newspaper cartoonist on strips such as Little Nemo in Slumberland. 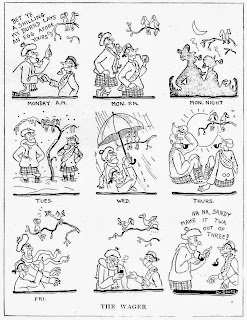 McCay, and other cartoonists such as Bud Fisher, were working as ‘lightning sketchers’ at ‘Chalk Talks’, a popular Victorian parlour entertainment that had ‘made the transition to the vaudeville stage in the late nineteenth century’ (Canemaker 2005). At Chalk Talks the performer would sketch quickly on a blackboard while telling a story, gradually adjusting the image as the tale progressed. McCay would later introduce animated films into his performances, the most famous being Gertie the Dinosaur (1914). McCay interacted with the dinosaur on stage, introducing Gertie to the audience who watched the animation behind him. Gertie left her cave slowly and walked towards them. She munched on a tree, fought with a mammoth and then ate an apple that McCay threw to her. In McCay’s hands the apple was a large cardboard prop that he slipped behind the screen a split-second before it appeared on film flying into Gertie’s mouth. The performance ended with McCay appearing to walk into the screen and climb on Gertie’s back as she walked off screen. 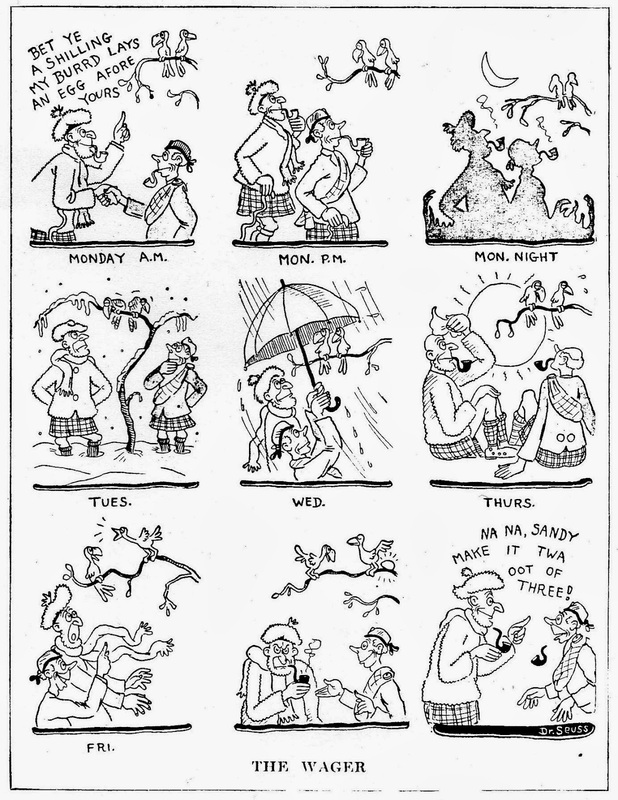 By this time McCay’s act had become more of an interaction between performance and animation rather than comics but his comics work and animation continued to influence each other. Contemporary comics creators embracing performance have included Alan Moore, who in 1995 staged a spoken word performance called The Birth Caul (A Shamanism of Childhood), which had music by David J and Tim Perkins. This was one of several collaborations between Moore and these musicians, which Moore intended to be ‘one off performances that would be preserved as a CD’ (Moore 2008). Unlike McCay’s performances or those featured in Carousel, The Birth Caul was not intended to have a visual element. The later comic book version by Eddie Campell was, according to Moore, an adaptation or ‘mix’ of the original piece, a reworking of ‘performance art into a more narrative medium’ (2008). Like McCay and Moore, Ben Katchor, also a contributor to Carousel, initially did not use comics in his performances. In 1995 Katchor produced ‘radio cartoons’ of his strip Juilus Knipl, Real Estate Photographer for NPR. However Katchor has gone on to more fully embrace comics as performance with what he calls ‘Pictographic ballad operas’. Since 2004 he has collaborated with musician Mark Mulcahy on a series of contemporary music-theater productions that harken back to the ballad operas of 18th century England as well as the vaudeville tradition of McCay. The shows mix popular musical forms with visual projections. In these performances Mulcahy sings Katchor’s words as he plays his own music while behind them Katchor’s drawing are projected. Their 2009 commission A Checkroom Romance brings to mind the soundtrack to the Daniel Clowes comic Like a Velvet Glove cast in Iron by Victor Banana (cartoonist Tim Hensley) with its slightly jokey jazz and easy listening inflected tunes. It would be interesting to see Hensley’s soundtrack as a performance alongside Clowes’ images as it adds another creepy layer to the already sinister happenings in the book. Comics performances have also recently turned up in unexpected areas. At the Narrative Future for Health Care Conference in June 2013 David Small was a keynote speaker. He started his presentation by playing a film of a passage from his autobiographical comic book Stitches (2009). The film played still images from the book along with an audio track of Small reading the text mixed with the music of Morton Feldman. Small talked later about the importance of Feldman’s music to him when making Stitches. Screened in the dark in a large auditorium and on a big screen with a good quality sound system, it was an absorbing and powerful way to experience Small’s work. On a lighter note, Paul Gravett’s keynote speech at the 2013 Graphic Medicine conference can be seen on the Graphic Medicine website. It is worth catching as in the middle of his speech Gravett does a very entertaining read through of the 1950s strip ‘Calling Nurse Abbott!’ from Girl comic, complete with different voices for each character. There are potentially endless ways for comics to interact with performance. In Bart Beaty’s current research project Comics Off The Page, he is investigating ‘comics artists who are bringing comics into conversation with other art forms like dance, musical performance, painting, sculpture, and architecture’ (2012b). At the Comics & The Multimodal World Conference in Vancouver in June 2013 Beaty used his keynote speech to elaborate on the many ways that artists are stretching the boundaries of comics. Some artists have drawn live on stage alongside a band playing music adapting their drawing to the music. Others, such as Jerome Mulot and Florent Ruppert create site specific comics, and have used the audience as an interactive performance art element in the production of strips. The act of performance does change the way in which we experience comics, and it also raises the question of whether we can still call them comics. The main difference between watching such a presentation and reading a comic is the loss of control of the narrative for the reader. They also cannot choose not to have sound effects, unless they bring earplugs. 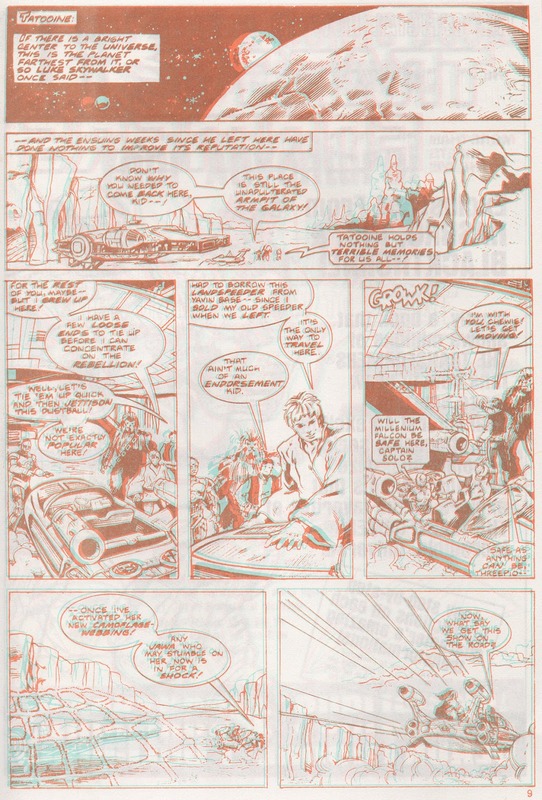 In this way, the experience has parallels with reading digital comics that have music or effects in them. At DeeCAP most presenters chose to show their strips one panel at a time, much like the ‘guided view’ in digital comics apps such as Comixology. This allows the audience time to soak up the information in each panel, an effect helped by the vastly increased size of the panels on the cinema screen. Crucially though, this stops the audience seeing other panels at the same time, causing the design of the page to become irrelevant. For the second DeeCAP event I created a new strip specifically to be performed and so considered it from the start as panel by panel rather than page by page. The audience can still influence the experience however. Like Sam Henderson, David Robertson noted on his blog that during the first DeeCAP he was able to ‘linger on any [images] that were getting a good laugh, or had some chicken fat I thought might be picked up by the audience’ (2013). 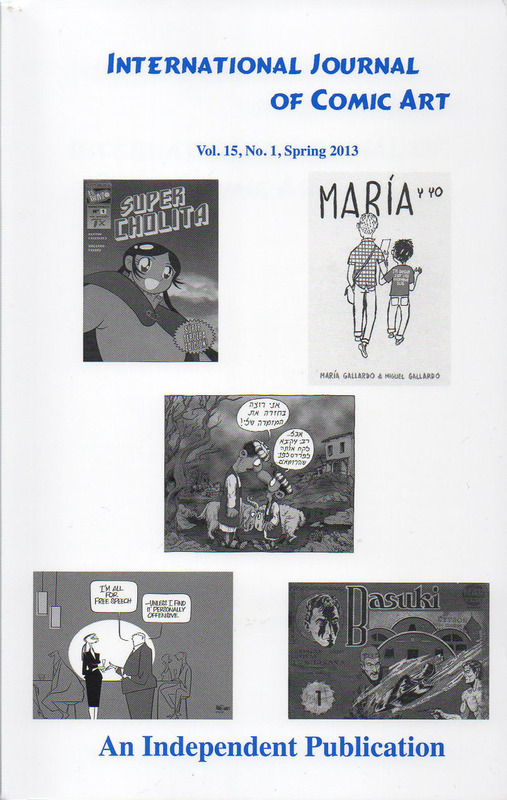 In his essay ‘Defining Comics?’ (2007) Aaron Meskin argues against essentialist definitions of comics and discusses the way that comics can be defined by ‘typical features’. 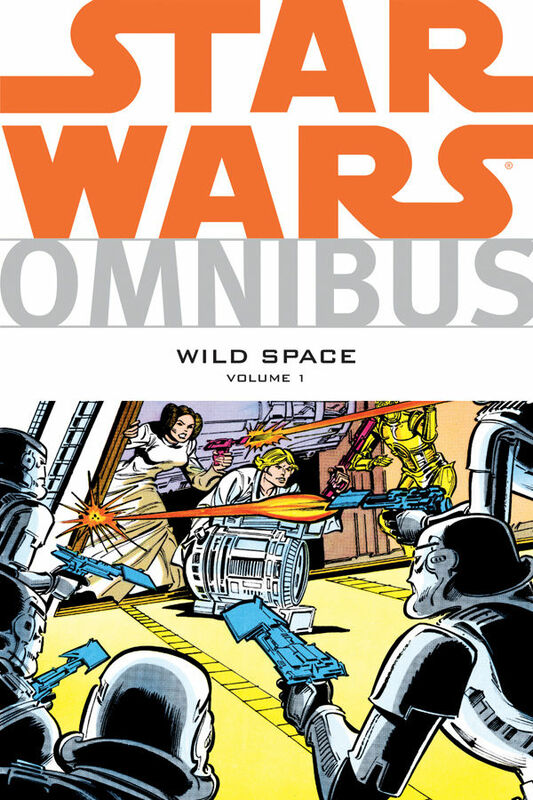 For example, comics typically have panels but they are not a necessary feature. 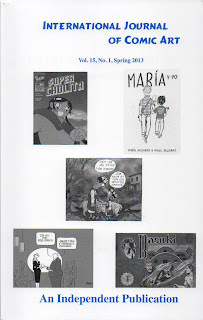 Meskin then discusses a move away from the comics ‘definitional project’ and suggests that ‘perhaps something is a comic just in case it is/was nonpassingly intended for regard-as-comic’ (2007: 376). This is a move towards defining comics along social rather than functional lines in a similar way to that proposed by Bart Beaty in Comics Versus Art (2012). 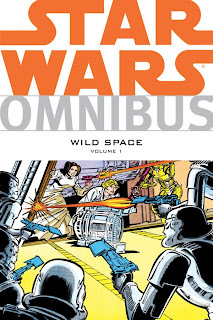 Building on the theories of Pierre Bourdieu and George Dickie, Beaty proposes that ‘comics can be defined as objects recognized by the comics world as comics’ (2012b: 37). 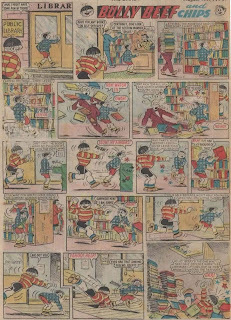 The comics performances presented in DeeCAP or Carousel retain many of Meskin’s ‘typical features’, such as panels or speech balloons so they can still be considered comics by that definition. However, they are also created by and for those in, what Beaty has termed, the ‘comics art world’ and so can also be considered as comics in a cultural sense. This current wealth of comics and performance events show that the art form of comics continues to mutate and evolve. Choreographer Sidi Larbi Cherkaoui presented his latest work TeZuKa at Sadler’s Wells in London in 2011. A dance production based on the life and work of Osamu Tezuka, this multi-media event used Tezuka’s illustrations projected alongside the work of video artists, calligraphers, musicians and dancers. There are also other simpler forms of comics and performance that hark back to the Chalk Talks of vaudeville. Searching the phrase ‘Draw My Life’ on YouTube brings up a whole host of short videos uploaded by individuals telling the story of their lives while drawing it out on white boards like Victorian ‘lightning sketchers’. They continually edit and erase the drawings as the talk progresses, modern technology bringing an experience from the days of vaudeville into everybody’s home. At this moment there is also a boom in comics performance events, as well as Carousel and DeeCAP there are several other events in Portland, Oregon alone, including The Projects and the Comic Artist Nights at the Portland Opera. Along with comics performances such as Mulot and Ruppert these will hopefully lead to even more exciting and interesting ways to experience the comics medium." Damon is a good cartoonist, and you can see more on his comics here. 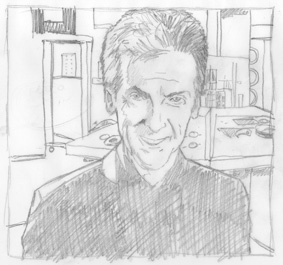 Comics website Down the Tubes is collecting drawings of Peter Capaldi as the Doctor. I had a go at a sketch and sent it along. Have a look here. Capaldi has a very interesting face to draw. Even when he’s being nice, he has an evil look about him. Perfect for the Doctor. I stuck him in the 1963 TARDIS. I don’t know why! If you look closely, you'll see I thought about adding a speech balloon, with "Hello, I'm the Doctor" in it. I decided not to, as it seemed a bit redundant. Here’s a beautiful French set from 1988. Each stamp features a drawing from a grand prize winner at Angoulême between 1976 and 1987. Click for larger view – it’s worth it! I’ve been looking forward to this book for months. It’s a collection of odds and ends. 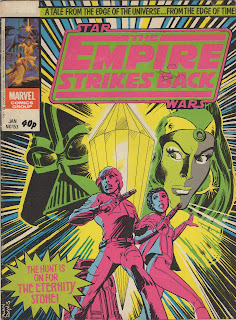 Back in the 70s and 80s Marvel UK reprinted Marvel US comics. They generally did so in black and white on a weekly basis instead of monthly, and hence used up more of the material than was being produced. For Spider-Man and the Hulk and the other heroes, there was a ten year backlog of comics, and so this wasn’t going to cause a problem any time soon. 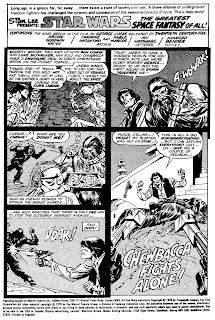 For Star Wars though, there was a problem, and so Carmine Infantino got to work pencilling, with two inkers alternating to get the stuff produced more quickly. 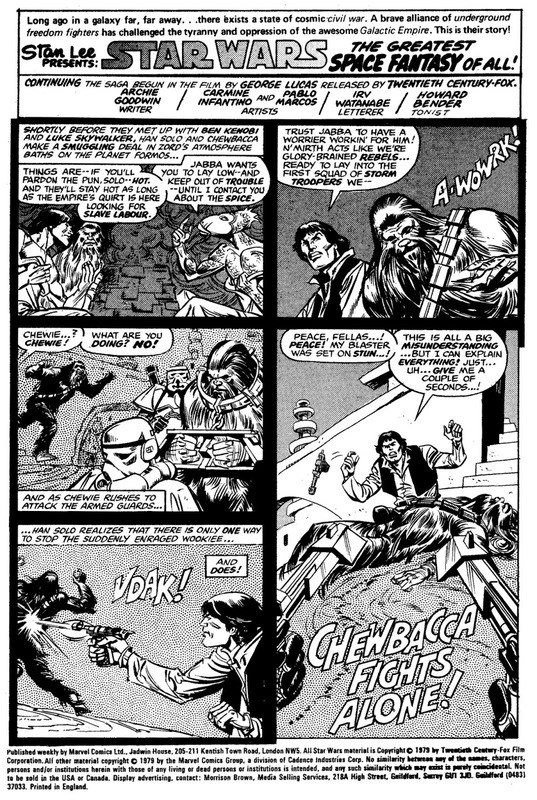 The result was that uniquely, Star Wars Weekly was printing the stories before they were appearing in the US comics. The Marvel US comics are the reprints. By the time The Empire Strikes Back movie was released in 1980, there were a good few stories that were just dropped from the Marvel US schedule. I didn’t realise the extent , and was surprised that so many are therefore seen as obscure. Also from Marvel UK are a series of original comics produced in the UK by creators such as Alan Davis, Alan Moore, Steve Moore, John Stokes, etc. Some of these were already reprinted in the 1990s by Dark Horse in colour, and are presented as such here. With these stories, original covers like this one by Alan Davis aren’t included in the book. 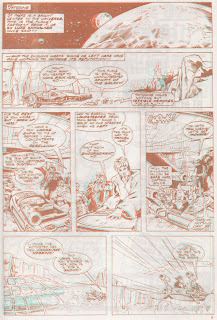 Of note too are Blackthorne’s 3D comics, published between the 1986 cancellation of Marvel Star Wars and the 1991 Dark Horse series starting up. All three are here, starting with the “Tenth anniversary” #1. The 3D effects have been done away with, and it’s nice to look at these for the first time in 25 years without straining my eyes. I do miss the effect Blackthorne created for the camouflage net on these pages though. A lot of nice curiosities here, nice to have the Pizzazz magazine stories by Howard Chaykin and Tony Dezuniga, and Gary Erskine’s art is good clean fun too.